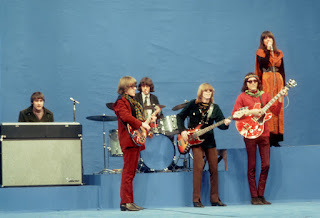 Jefferson Airplane was an American rock band formed in San Francisco, California in 1965. A pioneer of counterculture-era psychedelic rock, the group was the first band from the San Francisco scene to achieve international mainstream success. They performed at the three most famous American rock festivals of the 1960s—Monterey (1967), Woodstock (1969) and Altamont (1969)—as well as headlined the first Isle of Wight Festival (1968). Their 1967 record Surrealistic Pillow is regarded as one of the key recordings of the "Summer of Love". Two hits from that album, "Somebody to Love" and "White Rabbit", are among Rolling Stone's "500 Greatest Songs of All Time". 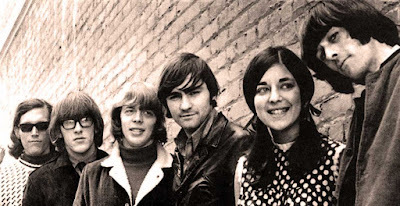 The "classic" line-up of Jefferson Airplane remained stable from 1967 to early 1970, and consisted of Marty Balin, Jack Casady, Spencer Dryden, Paul Kantner, Jorma Kaukonen and Grace Slick. The group broke up in 1972, and essentially split into the two bands Hot Tuna and Jefferson Starship. Jefferson Airplane was inducted into the Rock and Roll Hall of Fame in 1996, and honored with the Grammy Lifetime Achievement Award in 2016. Kantner next recruited an old friend, blues guitarist Jorma Kaukonen. Originally from Washington, D.C., Kaukonen had moved to California in the early 1960s and met Kantner while at Santa Clara University in 1962. Kaukonen was invited to jam with the new band and although initially reluctant to join he was won over after playing his guitar through a tape delay device that was part of the sound system used by Ken Kesey for his Acid Test parties. Drummer Jerry Peloquin and acoustic bassist Bob Harvey completed the original lineup. 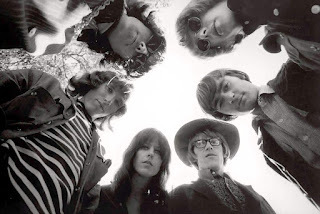 Jefferson Airplane in early 1966. From left-Anderson, Casady, Balin, Spence, Kantner and Kaukonen. Two significant early concerts featuring the Airplane were held in late 1965. The first was the historic dance at the Longshoremen's Hall in San Francisco on October 16, 1965, the first of many "happenings" in the Bay Area, where Gleason first saw them perform. At this concert they were supported by a local folk-rock group, the Great Society, which featured Grace Slick as lead singer and it was here that Kantner met Slick for the first time. A few weeks later, on November 6, they headlined a benefit concert for the San Francisco Mime Troupe, the first of many promotions by rising Bay Area entrepreneur Bill Graham, who later became the band's manager. In November 1965, Jefferson Airplane signed a recording contract with RCA Victor, which included an unheard-of advance of US$25,000. 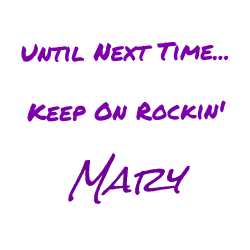 Prior to this, they had recorded a demo for Columbia Records of "The Other Side Of This Life" with Bob Harvey on bass, which was immediately shelved by the label. On December 10, 1965, the Airplane played at the first Bill Graham-promoted show at the Fillmore Auditorium, supported by the Great Society and others. The Airplane also appeared at numerous Family Dog shows promoted by Chet Helms at the Avalon Ballroom. The group's first single was Balin's "It's No Secret" (a tune he wrote with Otis Redding in mind); the B-side was "Runnin' Round The World", the song that led to the band's first clash with RCA, over the lyric "The nights I've spent with you have been fantastic trips". After their debut LP was completed in March 1966, Skip Spence quit the band and he was eventually replaced by Spencer Dryden, who played his first show with the Airplane at the Berkeley Folk Festival on July 4, 1966. Dryden had previously played with a Los Angeles group called the Ashes, who later became the Peanut Butter Conspiracy. 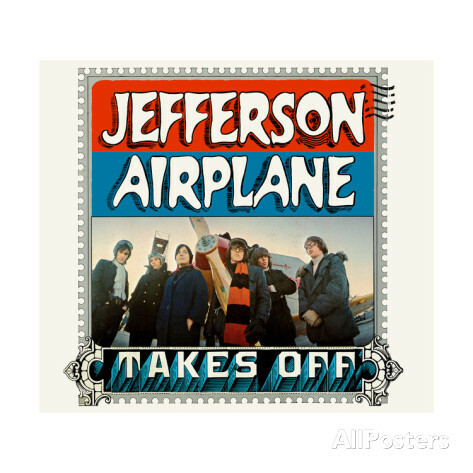 The group's debut LP Jefferson Airplane Takes Off was released in September 1966. The folk-music-influenced album included John D. Loudermilk's "Tobacco Road" and Dino Valente's "Let's Get Together", as well as original ballads "It's No Secret" and "Come Up the Years". Despite the fact that the group had neither performed outside the Bay Area nor appeared on TV, the album garnered considerable attention in the United States and sold well enough to earn a gold record award. RCA initially pressed only 15,000 copies, but it sold more than 10,000 in San Francisco alone, prompting the label to reprint it. For the re-pressing, the company deleted "Runnin' Round This World" (which had appeared on early mono pressings), because executives objected to the word "trip" in the lyrics. For similar reasons, RCA also substituted altered versions for two other tracks: "Let Me In", changing the line "you shut your door; you know where" to "you shut your door; now it ain't fair." In the same song, they also switched the lyric "Don't tell me you want money" to "Don't tell me it ain't funny". "Run Around" was also edited, changing the line "flowers that sway as you lay under me" to "flowers that sway as you stay here by me". The original pressings of the LP featuring "Runnin' 'Round The World" and the uncensored versions of "Let Me In" and "Run Around" are now worth thousands of dollars on the collectors' market. Slick's recruitment proved pivotal to the Airplane's commercial breakthrough—she possessed a powerful and supple contralto voice that complemented Balin's and was well-suited to the group's amplified psychedelic music, and, a former model, her good looks and stage presence greatly enhanced the group's live impact. “White Rabbit” was written by Grace Slick while she was still with The Great Society. 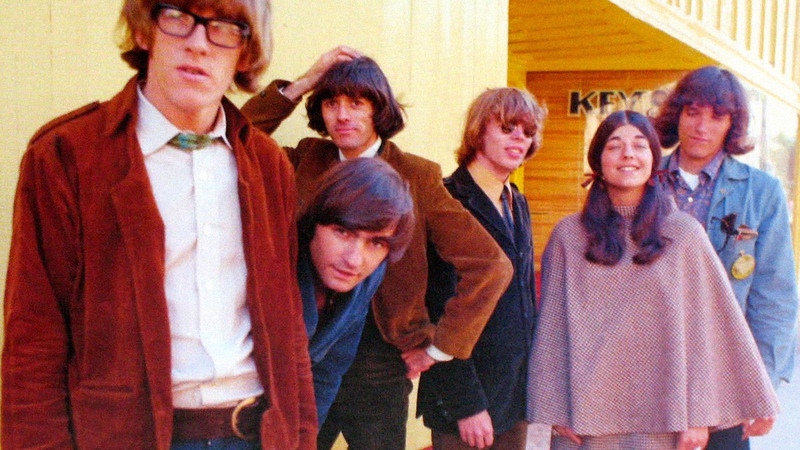 The first album Slick recorded with Jefferson Airplane was Surrealistic Pillow, and Slick provided two songs from her previous group: her own "White Rabbit" and "Somebody to Love", written by her brother-in-law Darby Slick. 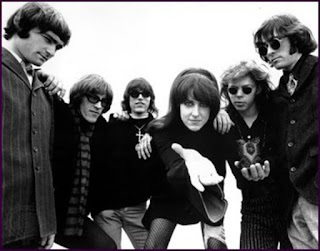 Both songs became breakout successes for Jefferson Airplane and have ever since been associated with that band. On May 13, 1971, Grace Slick was injured in a near-fatal automobile crash when her car slammed into a wall in a tunnel near the Golden Gate Bridge in San Francisco. The accident happened while she was drag racing with Jorma Kaukonen; both were driving at over 100 miles per hour, and Kaukonen claims that he "saved her life" by pulling her from the car. Slick's recuperation took a few months, forcing the Airplane to curtail their concert and touring commitments. In the meantime, Slick recorded a comic song about this incident, "Never Argue With A German If You're Tired", which appeared on Bark. In 1989, Jefferson Airplane reunited—including founder Marty Balin, but without drummer Spencer Dryden—for a tour and album. The self-titled album was released by Columbia Records to modest sales but the accompanying tour was considered a success. In 1996, Jefferson Airplane was inducted into the Rock and Roll Hall of Fame, with Balin, Casady, Dryden, Kantner and Kaukonen attending as well as performing. Grace Slick was absent, as she was unable to travel for medical reasons. In 2004, the film Fly Jefferson Airplane (directed by Bob Sarles) was released on DVD. It covers the years 1965–1972 and includes then-recent interviews with band members and thirteen complete songs. Jorma Kaukonen and Jack Casady performed a set at the 2015 Lockn' Festival to celebrate the 50th anniversary of the Jefferson Airplane. They were joined by G. E. Smith, Rachael Price, Larry Campbell and Teresa Williams. In 2016, Jefferson Airplane was given the Grammy Lifetime Achievement Award. Both Signe Anderson and Paul Kantner died on January 28, 2016. May they rest in peace.